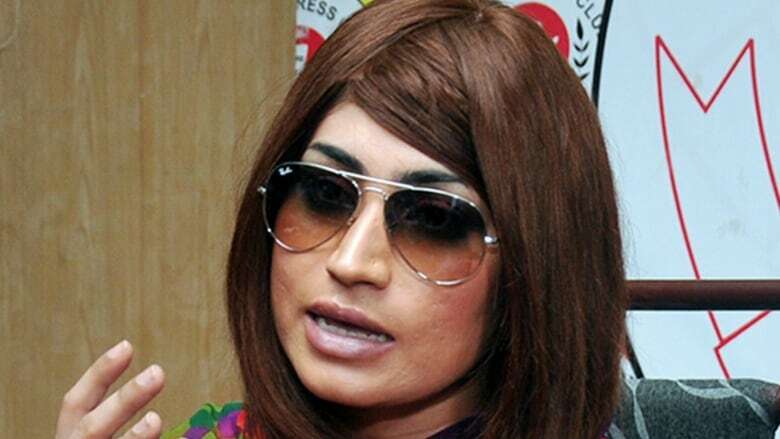 Qandeel Baloch, a social media star whose exploits divided opinion in conservative Pakistan, was strangled, allegedly by her brother, in what appears to be a so-called "honour killing," police and her family said on Saturday. Baloch's racy social media photos challenged social norms in Pakistan, a deeply traditional Muslim country where women are often repressed by their family or the community. Her killing shocked the South Asian country. In Facebook posts, she spoke of trying to change "the typical orthodox mindset" of people in Pakistan. Punjab Police spokeswoman Nabeela Ghazanfar told Reuters Baloch, whose real name is Fauzia Azeem, was killed on Friday night in her family home on the outskirts of Multan, a large city in Punjab province. "Apparently, it is an honour killing, but further investigations will reveal the real motives behind this murder," Ghazanfar said. "Honour killings" are normally murders committed because of patriarchal concepts of honour and shame. They're considered gender-based crimes, since girls and women are usually the victims. Baloch's father told local media his son Waseem had stayed overnight at the family home and quarrelled with Baloch over money issues and her risqué photos. Baloch's death sparked an outpouring of grief on Twitter and other social media websites and reignited a debate about gender-based crimes in Pakistan. More than 500 people — almost all women — die in Pakistan each year in such killings, usually carried out by members of the victim's family meting out punishment for bringing "shame" on the community. Baloch is described as Pakistan's Kim Kardashian and had built a modelling career on the back of her social media fame. She recently also appeared in a music video, gyrating bare legged to an Urdu-language song in high-heels and a see-through top. Though popular with many liberals, Baloch often struggled with the frequent abuse aimed at her. In one Facebook post this month, she thanked her supporters for "understanding the message I try to convey through my bold posts and videos".